It may be small, but my word it’s effective. One of the newest products into the Partech catalogue, the Sensorex Portable UVT, has already proved its worth in challenging conditions within demanding industry trial. The convenient, user-friendly transmittance instrument with its world leading UV-C LED technology was tested alongside more expensive and unnecessarily complicated equipment – both of which had benchtop and installed options on trial. 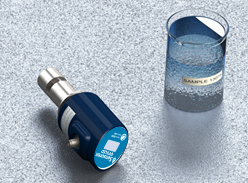 The device’s unique single lamp design shone in the challenging environments of turbid storm waters (25-45% transmission, a bane to single point source benchtop units) and final effluent as a rapid check device, following installed systems. A trial official applauded the Sensorex UVT’s ability to verify in situ UVT monitors without the need for quarts cell calibration, which would only benefit operators in the field. This case study confirms the Sensorex Portable UVT handheld device as an essential piece of equipment with regards to surveyance, installation and an indicator of overall UV treatment system performance. Call +44 (0)1726 879800 to implement portable UV transmittance into your plant systems today.